8. Now click Save Template. Good tips, any ideas how to get a fixed bar per post on my blog? I want to have it so that reader can share the post not the whole site? Hi, nice tricks. 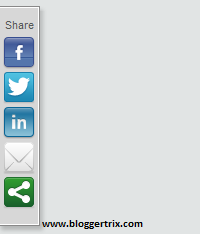 i will use this floating social widget in my blog. thanks! Portal artikel dan Info menarik! How do you make it larger?